This Halloween, why not go for a professional look? Maybe something that conveys expertise, implies seriousness (from a distance), and smells like stale medicine? Are stethoscopes your thing? Maybe you've always wanted a certain job, but you didn't pass the initial personality tests? We might have something for you. Maybe. Would you agree that there's nothing that instills a sense of respect quite like an "M.D." after one's name—perhaps inscribed on a personalized classic white lab coat? People admire and revere doctors, and why shouldn't they? It's a noble profession. That's why when you go out wearing this dignified Dr. Seymour Bush Costume, everyone you meet, everywhere you go, will respect you as a professional and as a friend and as a friend. Deep trust. The most trust... Just kidding! Laughs, we know, are exactly what you're going for with this simple costume. Those who get the joke will instantly think you're the boldest guy at the Halloween party, and those who don't... well, they'll probably just think you're on break at the night shift. You can pair this white lab coat with practically anything (including a tie, dress shirt, and slacks, like the fine gentleman in the picture) and your fellow partiers will think bow to your aura of professionalism. But we have it on good authority that going the extra mile with a set of medical scrubs and a stethoscope will set this costume over the edge—and we happen to sell it all right here! 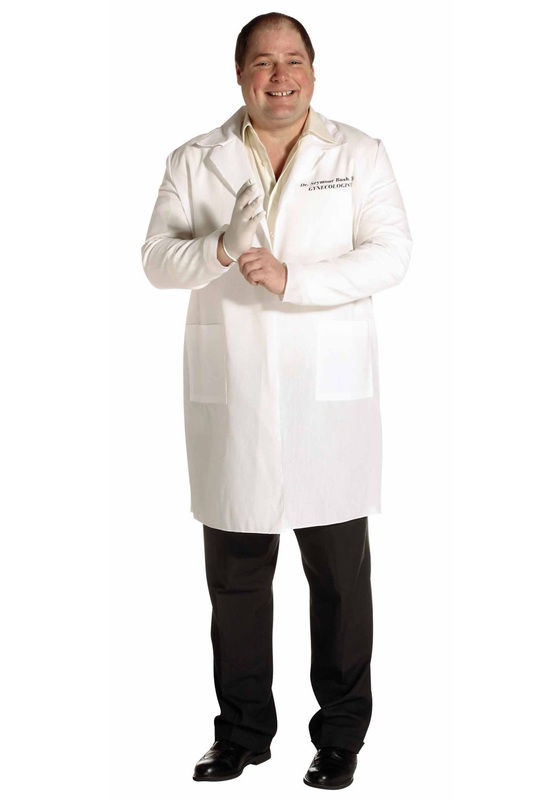 So if you're looking to scare up some serious laughs this Halloween, this Dr. Seymour Bush Costume is just what the serious, dedicated, respectful medical professional ordered!